The iPad has revolutionized tablet computing – finally there’s an extremely mobile way of accessing technology. And where could it find more use than in the field of health care, where mobility is not only desirable, but also a prime requirement. Instant access to patient information by physicians and surgeons could very well mean quick diagnosis and treatment without fail. 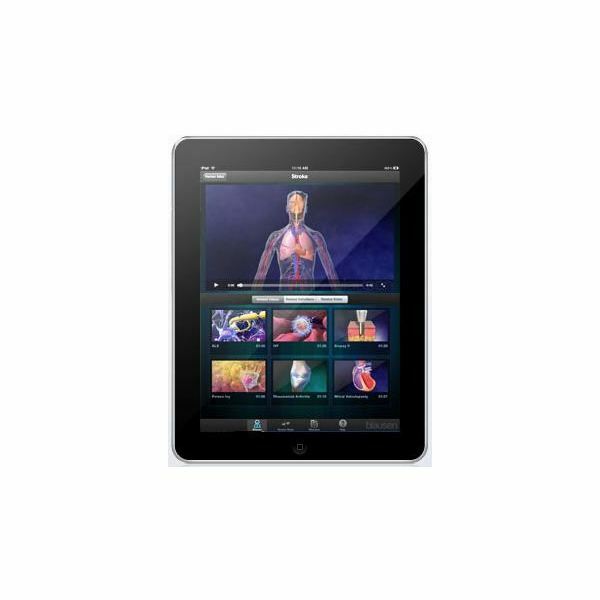 Here we present the Top 5 iPad Apps for Medical Professionals. They apps are known for their utility and necessity and can be very useful for health care workers across the entire medical community. images of organs, organ systems and disease pathologies, an extensive glossary, and videos to explain common concepts and conditions like osteoarthritis make this a highly recommended app for the medical fraternity. Images can be zoomed in and many also include narrations. With the help of this app, medical professionals can easily explain the functions of the human organs to their patients. They can show the animated 3D images that not only will help clarify any doubts in the patient's mind, but will also contribute to improving patient-physician communication. It can display the 3D images in multiple languages including English, Arabic, Dutch, French, German, Italian, Norwegian, Portuguese, Romanian, Russian and Spanish. MedScape is by far the most trusted medical web resource that provides comprehensive information on current medical trends, key studies, research and medical journal articles to the entire medical community. 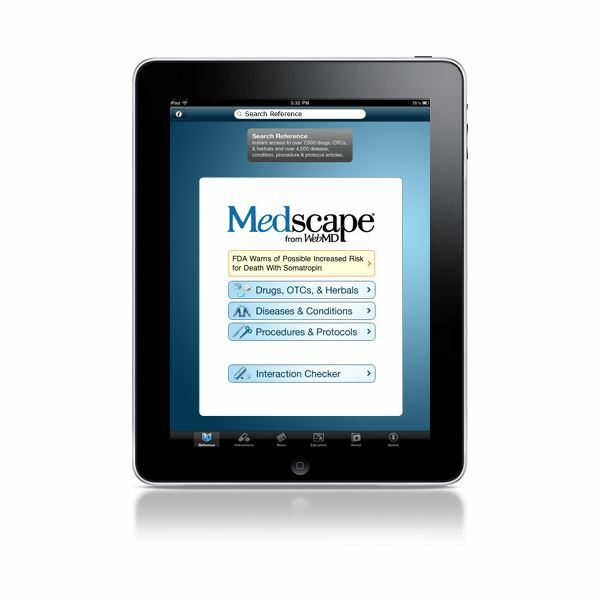 This app, which optimizes MedScape for the iPad, was recently introduced to provide quick access to all medical journal articles and the latest medical news. 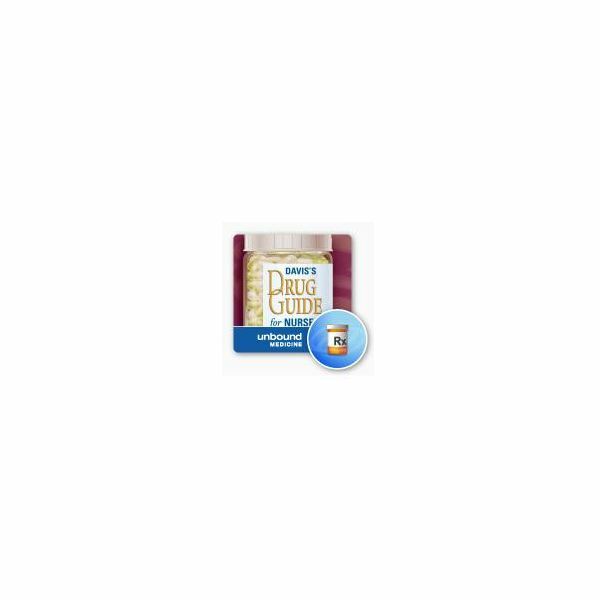 MedScape is a comprehensive drug information and reference tool that provides medical news, procedure references, drug interaction guide, adverse effects and contra-indications and a disease pathology and treatment guide, covering prescription, OTC and herbal drugs. One can also automatically sync clinical content. Though one can view text content without an internet connection, viewing image or videos would require you to be online. is addressed by OsiriX, an iPad app that helps a physician view and share all forms of radiology imaging, like CR scans, MRI, etc. 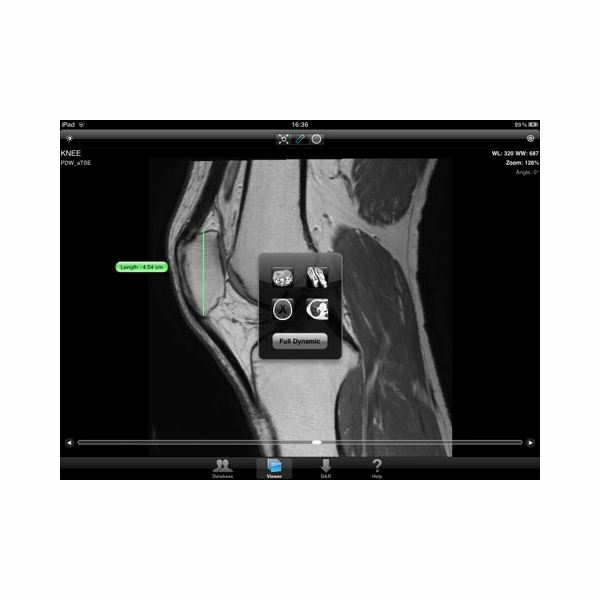 OsiriX is an open source DICOM file viewer, the native file format for most radiology imaging. It is an App version of the desktop program OsiriX Viewer. The App can be used to download of DICOM files from the Institute's PACS server. It can also provide interface with PACS using a Query and Retrieve protocol, zoom, pan and view images in various 'windowings' (bone, soft tissue, etc.) and even measure and quantify radio-density units. 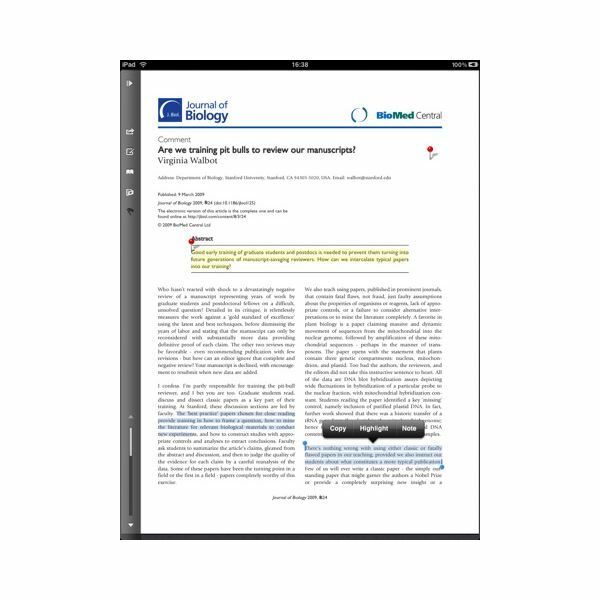 can also be very useful for paramedics or physicians, who can use this app to search for research articles and publications on the go, with features that include sharing, bookmarking and sync with other devices. d, to understand medicine. More than 2000 common drugs are covered, with details about its administration, dilution and concentration. This also includes many herbal drugs and psychotropic drugs. There are tools to calculate drug doses and detect any incompatibility or adverse drug reactions. Those were some of the Top 5 iPad Apps for Medical Professionals.There are lot many iPad apps that vie for one's attention. Get these for your iPad now, and avail its various benefits and capabilities! All screenshots from respective product websites, as mentioned above.